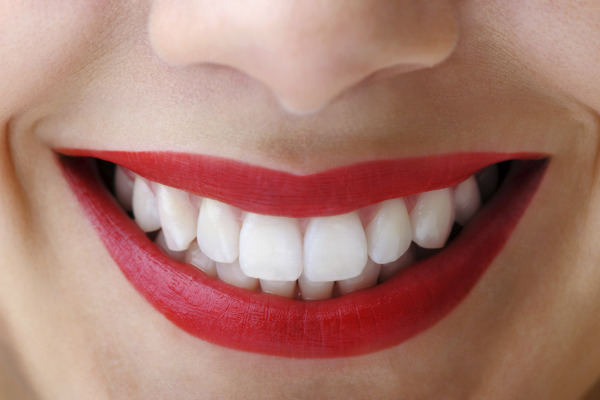 Cosmetic dentistry is a focus in the dental profession that deals with improving the appearance of patients' smiles. With more than 16 years of experience as a cosmetic dentist in Mississauga, Dr. Vesna Janev has the knowledge and expertise required to help patients choose the best cosmetic dentistry treatments to beautify their smiles and boost their confidence. Dr. Janev plans cosmetic dentistry treatments with function in mind, as well as appearance. Many cosmetic treatments can address important oral health concerns, such as damaged or decayed teeth, or alignment and bite issues. When you correct problems that negatively impact your smile’s appearance, you are often working toward improved overall oral health and function. Dental implants are a treatment that replaces missing teeth for both cosmetic and oral health benefit. The implant itself is a titanium rod that is placed directly into the jaw and is then topped with a realistic porcelain tooth. Implants are a permanent solution for tooth loss that can be brushed and flossed just like natural teeth. When placed by an experienced Mississauga cosmetic dentist like Dr. Janev, dental implants reduce the risk of jawbone loss and the likelihood of teeth shifting or becoming crowded after tooth loss or extraction. Porcelain is a material preferred by dentists for both its durability and its beauty. Porcelain veneers, bridges, and crowns are specially crafted by Dr. Janev to blend with your natural teeth for a flawless finish. If you are experiencing a tooth that is damaged by cracks, chips or decay, a porcelain crown is uniquely crafted for you to fit over your whole tooth to both disguise flaws and protect your tooth from further damage. Patients in need of inlays, onlays, bridges or veneers are treated to the same customized care that will fit with their natural smiles and help you achieve a healthy, even smile. The porcelain veneers from our Mississauga cosmetic dentistry office are made to enhance your smile in as few visits as possible. Veneers are thin porcelain tooth coverings that are permanently bonded to the fronts of teeth. In as little as two office visits, getting veneers can make your smile appear bright white, symmetrical, and evenly-aligned in the face of severe staining, misshapen teeth, or minor gapping and crowding. After your treatment is specially created at a trusted dental lab, you’ll return to our office to have them permanently applied and can walk out the door with a dramatically more beautiful smile. Costs associated with cosmetic dental treatment vary depending on the number of treatments chosen. At the cosmetic dental office of Dr. Vensa Janev, we price our services as affordably as possible and fully explain the cost of all procedures during discussions on treatment plans with our patients. We'll help you select the service that fits your needs and your budget the best. To get started on the path to a gorgeous smile, call our office today to schedule your consultation with our skilled Mississauga cosmetic dentist.